The process of property development begins in the mind of the architect; through their meticulous designs, plans and development sketches emerge exacting blueprints for spaces in which to live. All of which are formed from a careful consideration of modem, luxurious living. As an architect, they’re profession isn’t simply about specs, bricks and mortar – they’re profession is the creation of modern, life-enriching spaces; and as a property developer, you’re not selling a property – you’re selling a lifestyle, a way of living and a mark of luxury. Completing this are the property dressers who can spend hours upon hours carefully creating the decor, fixtures and furnishings – all to enhance the ways in which a property provides tangible changes to lifestyle. Our app is the perfect complement to each and every one of your efforts – offering concierge services that are but a phone tap away. This revolutionary sales tool can seamlessly integrate with all that you market as the ultimate finishing touch for those seeking out optimal living standards. By the opening of our app, and within just a few clicks, your residents will be able to tap into everything from automated restaurant reservations to the ordering of a chauffeur to take them there. This is a Guild of Professional English Butler’s approved service – a team of concierge specialists who are ready and waiting – and a truly unique way in which you can add value to your property offerings. Luxury property management commands an extensive array of tools, techniques and processes. To provide the robust level of management that residents within luxury accommodation expect the task is indeed a tall order for the average property management firm. Central to any effective form of property management is often communication – something that can be the key between an excellent reputation amongst potential residents and a lacklustre status within the industry. Through our app, two way communication is designed to be fast, effective and seamless; residents may book facilities within a single button press, they may interact with management via instant communication and may be empowered by the ability to report faults quickly and easily. The latter point of which can also cut down considerable administration times and costs. Beyond this property management firms can also look forward to instantaneous communication with each and every resident that they look after – for which, the possibilities are endless. This could include the highlighting of residential news, information about the weekend’s events or updates on facility opening times. All of which cuts out the need for cumbersome communications, which may have previously been via email alone. Hoteliers have long since sought out ways to improve the experiences of their guests; for decades this has been defined by decor, face-to-face interactions and the added extras that equate to additional stars that are proudly presented upon the hotel entrance. Yet in the modern age it has been technology that has enhanced hotel experiences unlike any other. Smart phone apps have become card keys, temperature controls and even curtain drawers. Today, however, we take the relationship between technology and hotels far further – with an app from which guests could access city guides, as well as each of your hotel services, including housekeeping, concierge and butler services. They could even arrange a restaurant booking within a single minute. All of this could be beautifully packaged within an app that comes as white label as standard – providing your guests with the best possible experience and illuminating your establishment in the very best of lights. As a Boutique hotel your entire brand identity and commercial offering is dependent upon being a notably unique offering in the market: you are personal, distinctive and remarkable. You likely diligently search out ever more unique ways to mark your Boutique establishment with a defining difference – and our Premium Concierge app may well just be the singular most effective marketing tool that you’re yet to discover. 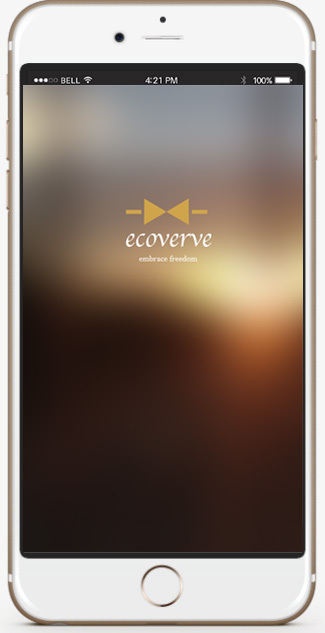 Our app can be styled and designed to live and breathe your brand; through colouring, fonts and bespoke imagery our app forms a seamless extension of your brand – and most importantly, acts as an impressive addition to your Boutique hotel’s services. All of which can be created to beautifully promote your Boutique’s unique selling point – which, after all, is very much the defining difference between your establishment and chain accommodation hotels.